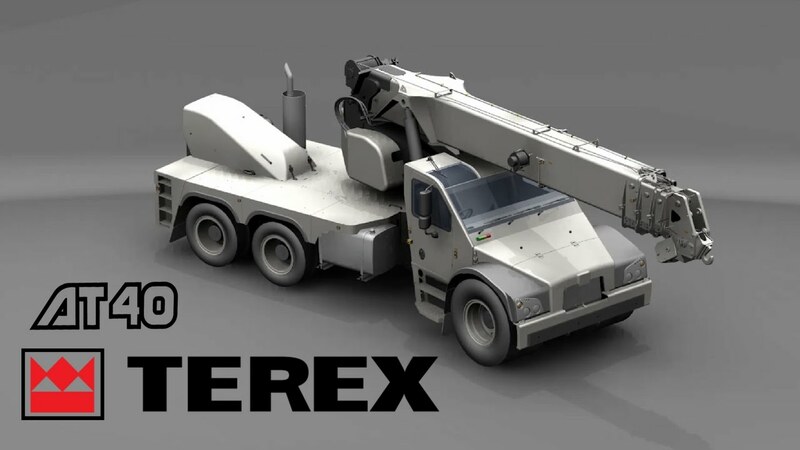 The AT-40 is a pick and carry crane built by Terex Australia . 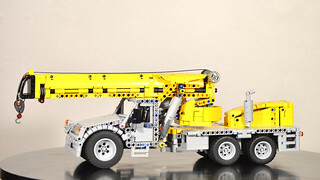 It’s a 6×6 articulated truck launched in 2016, equipped with a four-sections telescopic boom extensible up to 30m and has a maximal load capacity of 40t or 20t under hook. 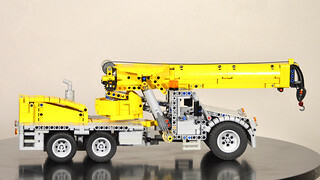 You can find here the link to the technical description of the truck, and a video. 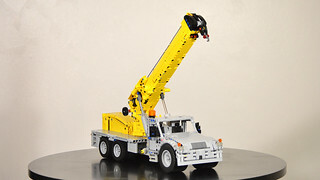 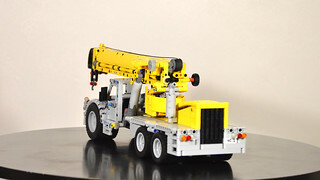 I love RC Lego model, but this time it is a fully manual truck. 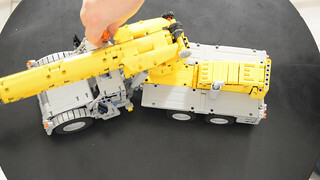 The truck is articulated and controlled through a Hand of God (HoG). 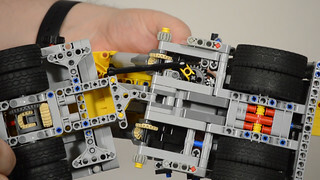 The steering wheel is linked to the gear and is so functionnal. 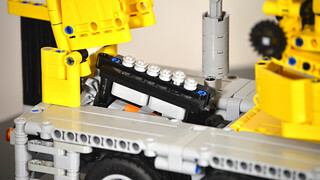 The truck is equipped with a fake engine inspired from the Mack Anthem and linked to the 2nd axle. 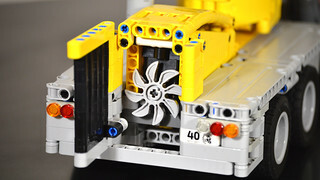 Fan and engine are accessible by opening the radiator and the rear hood. 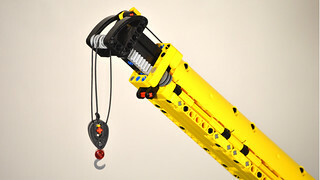 The boom is supported by two linear actuator operator from both side behind the cabin. 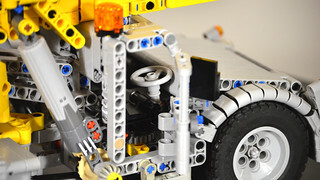 It is telescopic through a worm gear and can extend up to 25 studs. 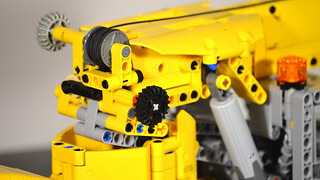 A tooth gear installed on a friction pin avoid the cable to move. 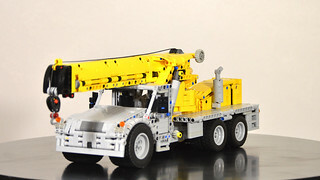 The truck is fitted with rear and head light, a registration plate (the 60th anniversary beam), rear access ladders, and a minimalistic cabin with two seats plus the steering wheel. 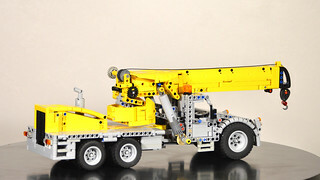 The LDD file of this procjet is available through the Download page.